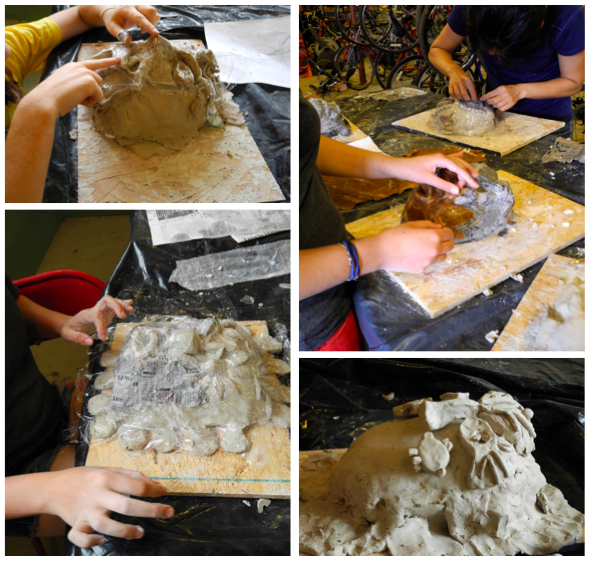 I recently led a mask making workshop at Cobb Hill with students from the Brearley School in New York City. The second year of students to stay at Cobb Hill during the summer, they came to learn about rural living, sustainability, and organic farming. Their presence created a fun exchange of lifestyles and ideas. In many cultures, putting on a mask signifies the creation of a new persona, and therefore a new set of understandings, empathies, and ways of thinking. 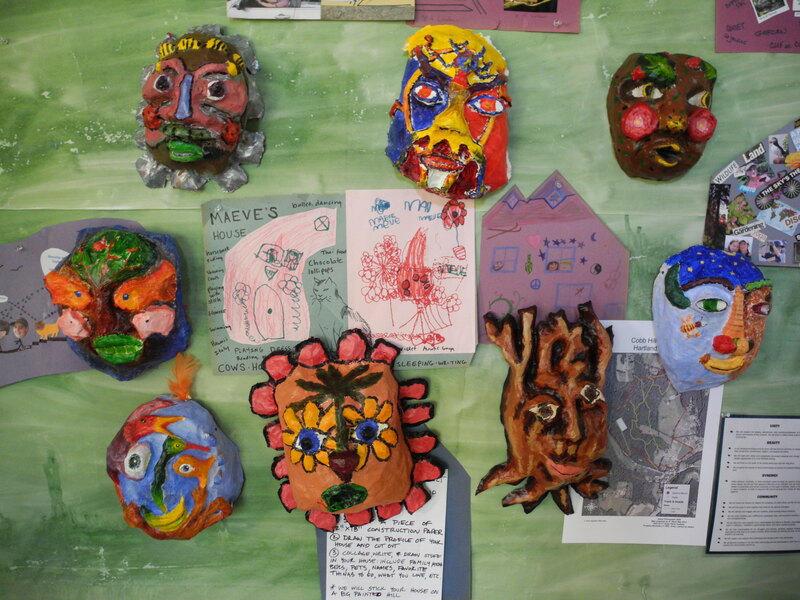 The participants in the workshop created masks while learning about the significance of mask-making in different cultures. They used natural elements collected around Cobb Hill and integrated them with other materials to create their pieces of art. Creative problem solving is essential for addressing the many challenges we face in bringing about a sustainable future for people and planet. In this workshop the next generation engaged in creative expression and expanded their problem-solving skills, while also using these as a tool for cross-cultural exchange. The above photos were taken by Annie Byerly and Xiaofu Ding, and Cobb Hill resident Carla Kimball.